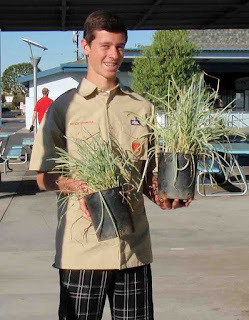 Eric Ball is on his was to becoming a full-fledged Eagle Scout. 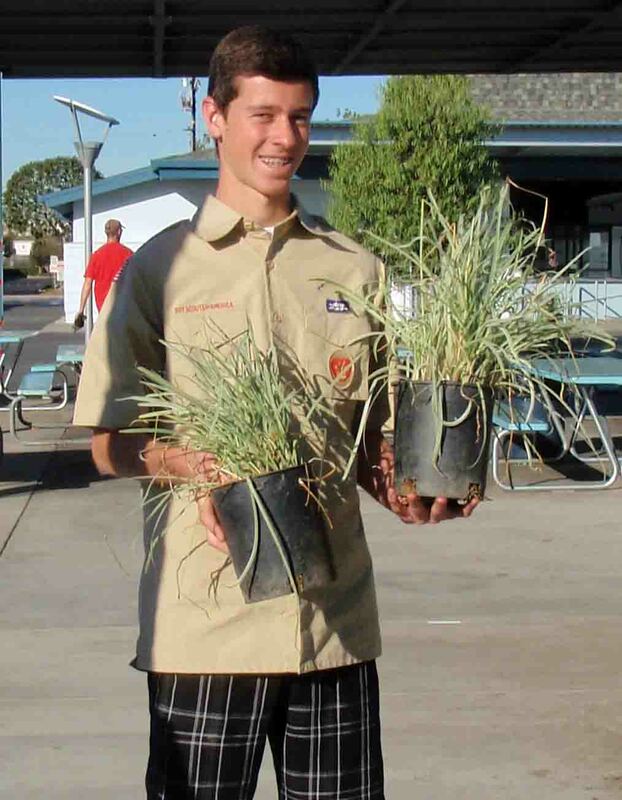 Each Eagle Scout in training must develop, manage and execute a community-based service project as part of achieving this high honor. 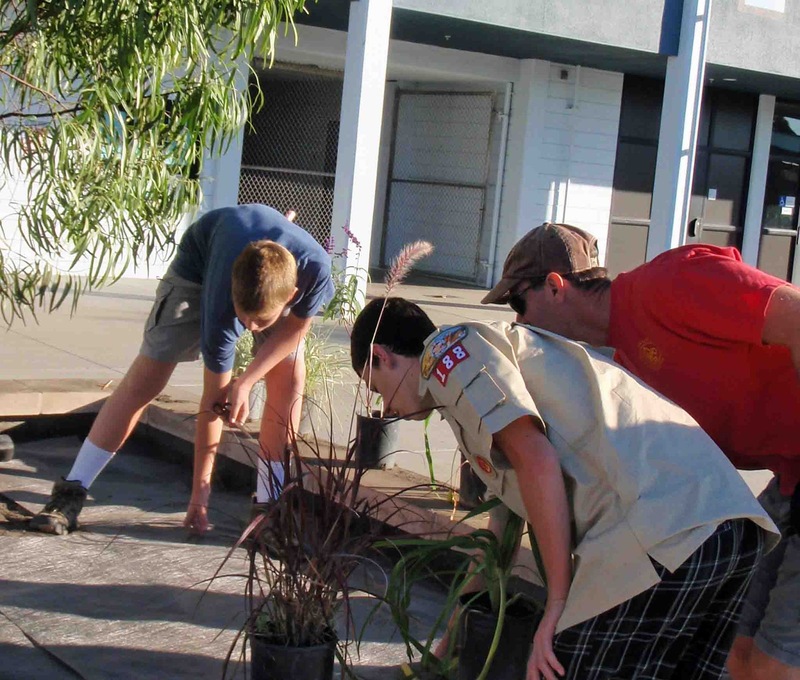 Eric's project was to completely rejuvenate six planters at McAuliffe Middle School in Los Alamitos. Eric went to middle school at McAuliffe and knew the planters had been installed a year ago as part of the school's modernization project but never completely finished. The planters needed more soil, plants and a weed barrier. Before he could start making improvements, Eric had to be sure the stone tops of the planters were protected from chipping and the installed sprinkler systems would be treated with care. The weed barriers needed to be installed, soil applied and an assortment of grasses planted--all over one weekend. 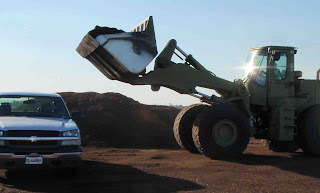 Agromin donated almost 3 cubic yards of organic soil and 1 cubic yard of organic mulch/topsoil to help Eric. 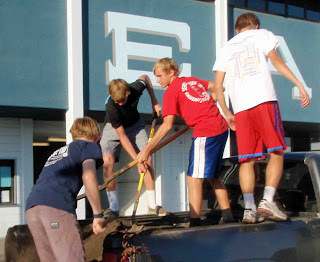 Eric, his father, Bruce (an Eagle Scout himself), his grandfather Bob and family friend Dave Regnier loaded the Agromin soil and mulch into their pickup trucks at the Los Alamitos Joint Forces Training Base. The soil was unloaded by hand by scouts and parents starting around 4:00 p.m. Friday afternoon, October 26. The second phase of Eric's project began at 8:00 a.m. the next morning when he measured, cut and installed a weed barrier for each planter. Next came planting the grasses, followed by spreading a layer of Agromin's topsoil/mulch in the new planting areas. Congratulations, Eric, from the Agromin team. We are proud to be part of your accomplishment.